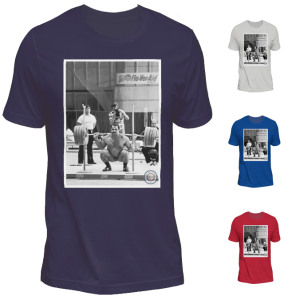 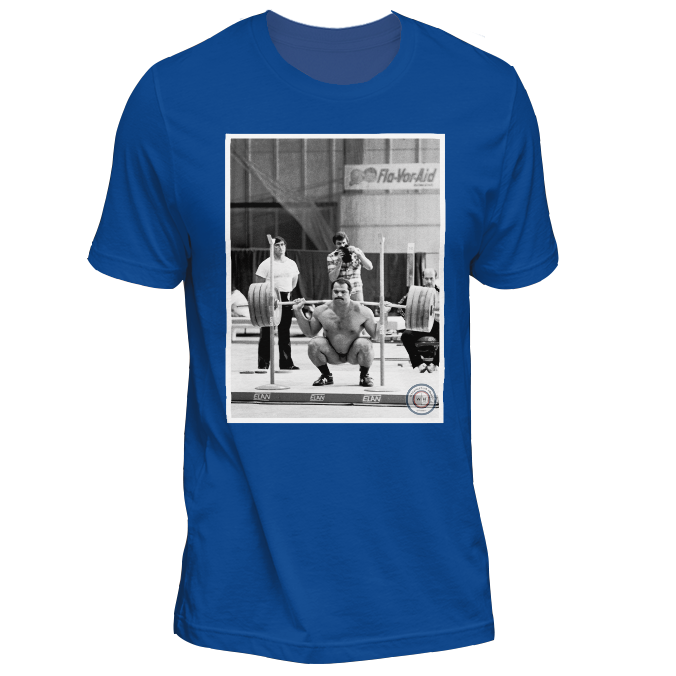 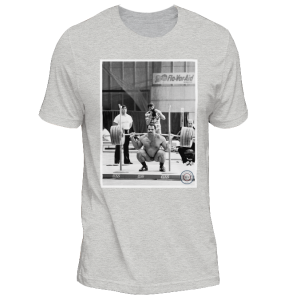 Anatoly Pisarenko attracts admiring glances as he squats in the training hall at the 1982 World Weightlifting Championships. 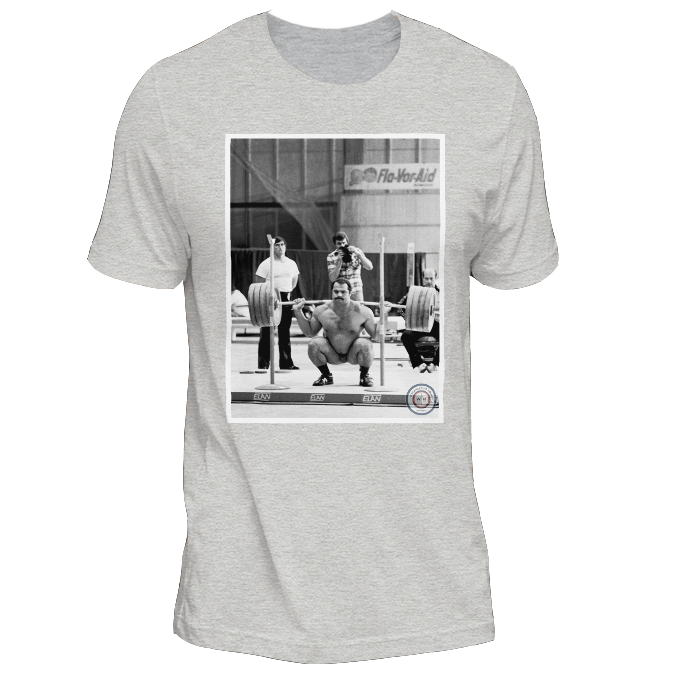 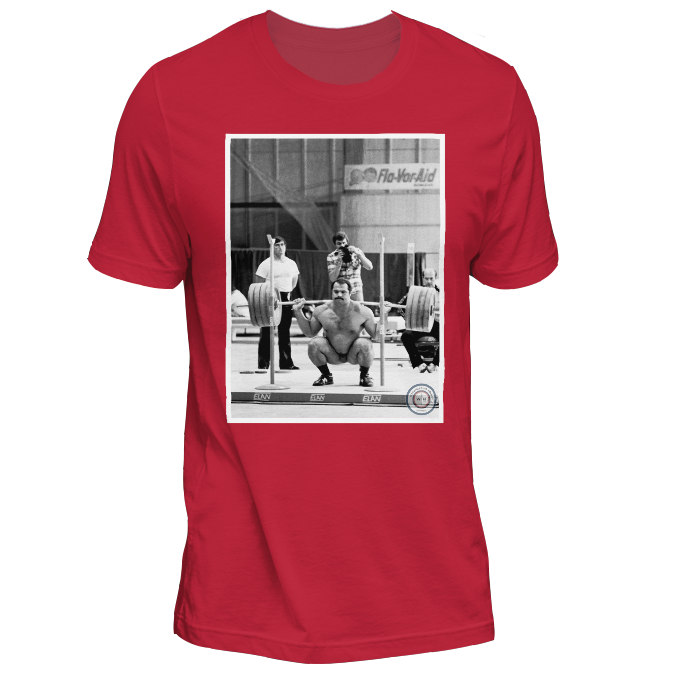 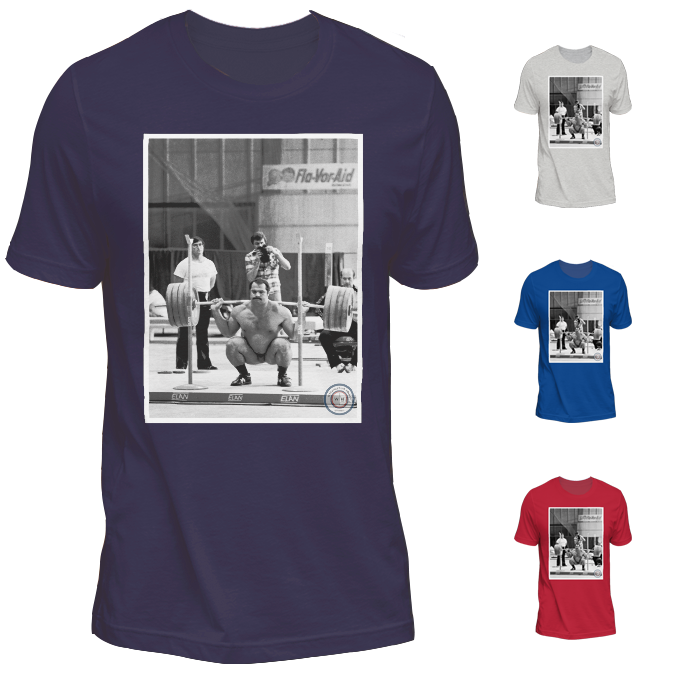 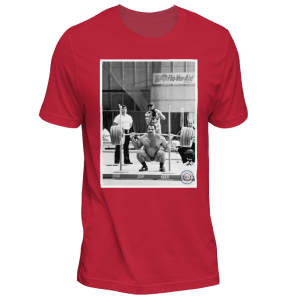 You will too in this t-shirt, featuring an amazing photograph by Bruce Klemens. 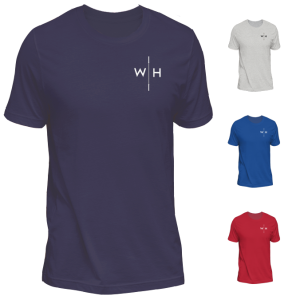 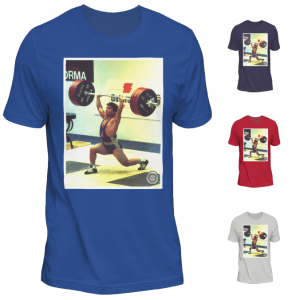 The t-shirt feels soft and lightweight, with the right amount of stretch so it looks great on the platform and the street.